Second edition of this popular course for young learners – now seven levels including Starter. 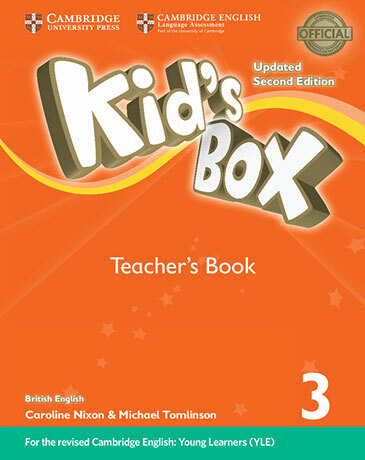 Perfect preparation for Cambridge English Young Learners: Movers Well-loved by children and teachers the world over, Kid's Box is bursting with bright ideas to inspire you and your pupils. Perfect for general use, the course also fully covers the syllabus of the Cambridge Young Learners English (YLE) tests, preparing your students for success at Starters, Movers and Flyers. The interleaved Teacher's Book contains comprehensive notes, as well as extra activities, photocopiable pages and classroom ideas to inspire both teacher and students.